Pupils in the Prep & Senior School had their own taste of democracy just before half-term. The School was once again a participant in the elections for a Member of Stockton’s Youth Parliament. Information on candidates was posted around the School and a ballot box and voting booth, as used in local and general elections, was set up on the stage. 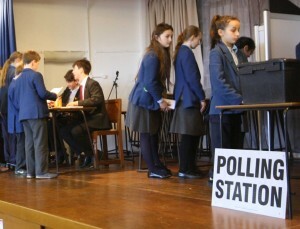 There was a very high turn out with almost all pupils completing ballot papers. In a general election year this opportunity to demonstrate real democracy in action was very rewarding experience for all involved.